closeup view of Mt. Everest. Mount Everest is the highest peak in the world which stands at 8848 m high altitude from sea level. Mount Everest named by name of Sir George Everest in 1865 AD. It is located in the Solukhumbu district of Nepal. Mount Everest, known in Nepalese as Sagarmatha and in the Tibetan language they are called as Chomolungma (Zhumulangma). There are other local names also provided for Mount Everest like Third pole, Peak xv, and local sherpa’s they called Deudhunga. Everest is believed to be 60 million years old. Everest was formed by the movement of earth’s tectonic plates, as the Indian subcontinental plate collides with the Eurasian continental plate. No one knew that Mt Everest was the top of the world until the 19th century. Mount Everest was first conquered by Sir Edmund Percival Hillary KG and Tenzing Norgay Sherpa on 29 May 1953 AD. Out of the 10 highest mountains, 8 of them are in Nepal. Among them, the most popular one is Mount Everest. People attempt to climb Mount Everest in 1920 AD. A little less than 5000 climbers have tried to climb Mount Everest. 240 of them never came back. The fatality rate of Mount Everest is 6.5%. Avalanche unexpected climate is the Main region of mountaineers failure to climb a high mountain. Unexpected storms, avalanches, freezing temperatures, high winds, crevasse and the dangers presented by the extreme high altitudes are extremely hard to overcome even for the most experienced climbers. However, the use of advanced gear and technology made in modern time and the use of highly trained guides help in decreasing the fatality rate. Climbers, generally they spend their 6 month time to acclimatize their body with high altitude. At that time they will take training for an expedition to Everest. That is compulsory for Everest summiter. Then pass through Everest Base Camp and then 4 additional camps in order to allow their bodies to adopt to the high altitude. Getting one by one camp 1, camp 2, camp 3, receptively and finally, they will summit Mt.everest. Climbing Mount Everest is the dream of most people. But climbing in reality, you should be physically and mentally prepared. There are few requirements to meet before climbing Mount Everest in Nepal. Climbers must be between 18 and 75 years of age. Permits will only be given to those who can prove they have already scaled mountains that are higher than 6,500 meters (21,325 feet). Disabled or visually impaired people need someone to carry them. Only those who can go on their own will be given permission. The weather conditions are extreme on Mount Everest. During the January month which is the coldest month of the year, the temperature reaches low to -76 ℉(-60℃). The temperatures are registered at 19℉ (-7℃). The temperature never rises above freezing. It was always very hard to predict the weather of Mount Everest. In addition to the dangerously cold temperatures, the wind and carelessness also present danger to climbers. High winds often carry sand and bits of stone, in addition to snow and ice during storms. Even unexpected storms have been known to bring as much as 10 feet(3m) of snow. Best season for climbing(Summit) Everest. The best time for climbing Mount Everest in April to May and from mid-June to August. Summer may not be the best time to climb Everest but you can still climb as per your choice. To summit Mt.Everest you should follow some rules of government of Nepal. 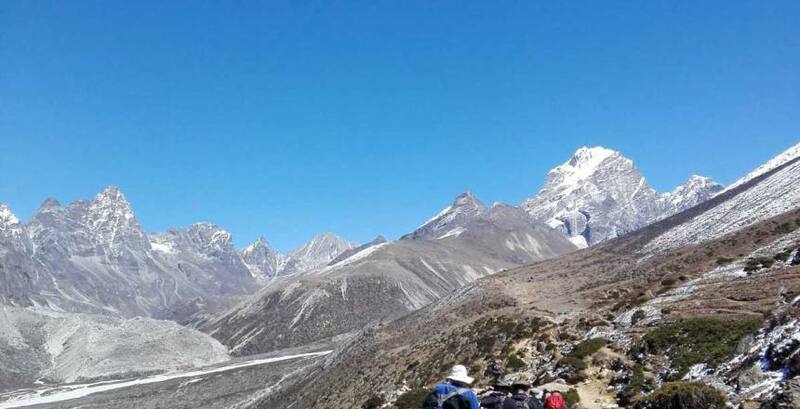 By the government of Nepal fixed a date to summit Everest base camp for some days. There is not allowed to climb Mt.everest any time. Most of the time fixed in the April to May due to the favorable season. You have to fulfill some legal documents before climbing for the Government of Nepal. 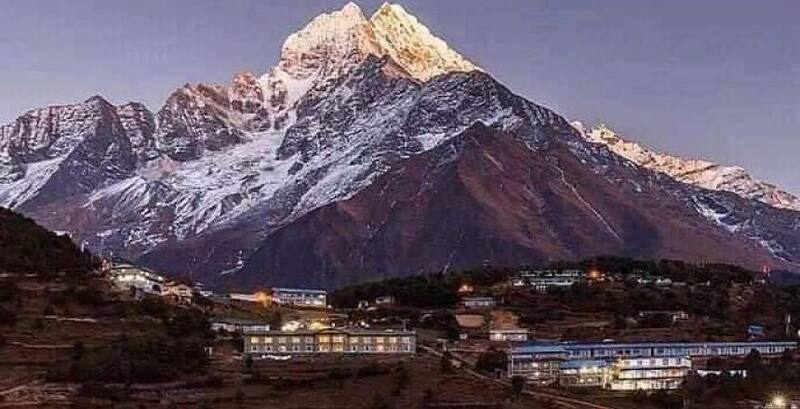 Best Season For Everest region trekking. Trekking to the Everest base camp is one of the popular trekking of Nepal. Most of the people, they want to visit overview Mt.Everest from the close-up view. They will visit the Everest base camp(5364m) and Kala Patthar(5545m). Kala Patthar(5545m) Which is the most popular viewpoint of the Everest base camp. The best season for the trek to Everest region will be September to mid of December and February to June. That’s called the high season. That is a little bit busy season of the mountain. Due to that time weather will be the clear and cloudless sky in the mountain. Then you will see an attractive overview of the mountain. Some of the group also found in the January and July August season there is some difficult situation. In January there will be cold and snowing in the way of trekking but mountain view will be very beautiful. Mountain will be fully covered by snow. During the daytime temperature is best but at night there will be freezing cold. During the July, August that will be the raining season of Nepal. So the weather is changeable and heavy rainfall during this time. Some of the popular trekking trail of Nepal. 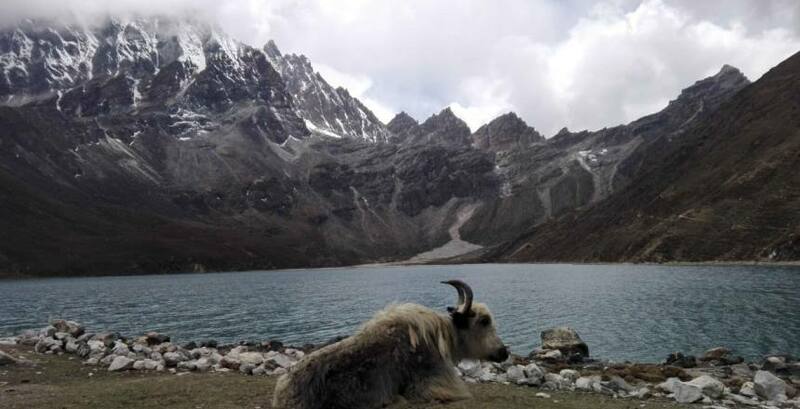 Chola passes Gokyo lake trek. 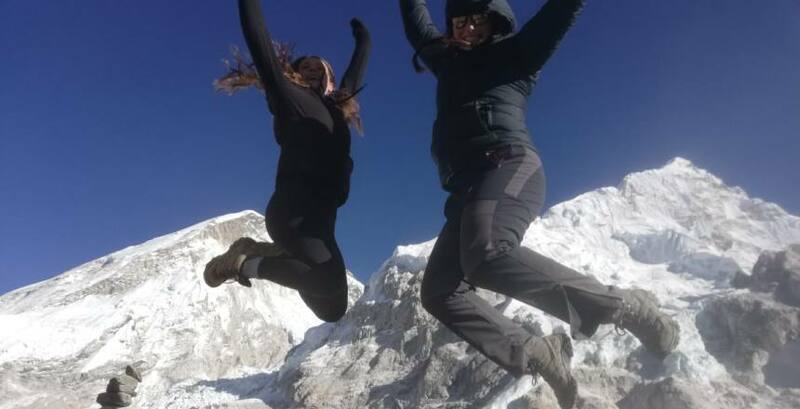 Salleri Everest base camp trek. Everest base camp short activities. Some of the interested person of the Everest activities there will be other short activities also available. There most of the activities are prepared for one day trip. That was given below. 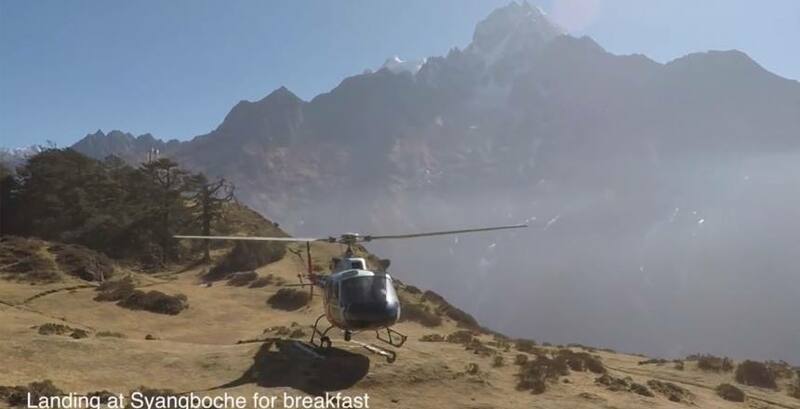 Everest base camp helicopter tour. Mount Everest is a one of a valuable natural treasure of Nepal. Most of the people know Nepal as a country of Mount Everest. If someone said us” where are you from? Normally we will also say from the country of Mount Everest. It’s our luck to born in this country. Finally, we will one of the travel company in Nepal. We will provide the all over Nepal activities to our valuable client. If you plan to visit Mount Everest, we would be heartily welcome to Nepal and give us opportunities to survived to you. We will provide a best and special for you.